I got a new toy!!!!! I just got this Stephanie Bernard/Sizzix Circle Flip It #2 Die! So much fun! And easy!!! 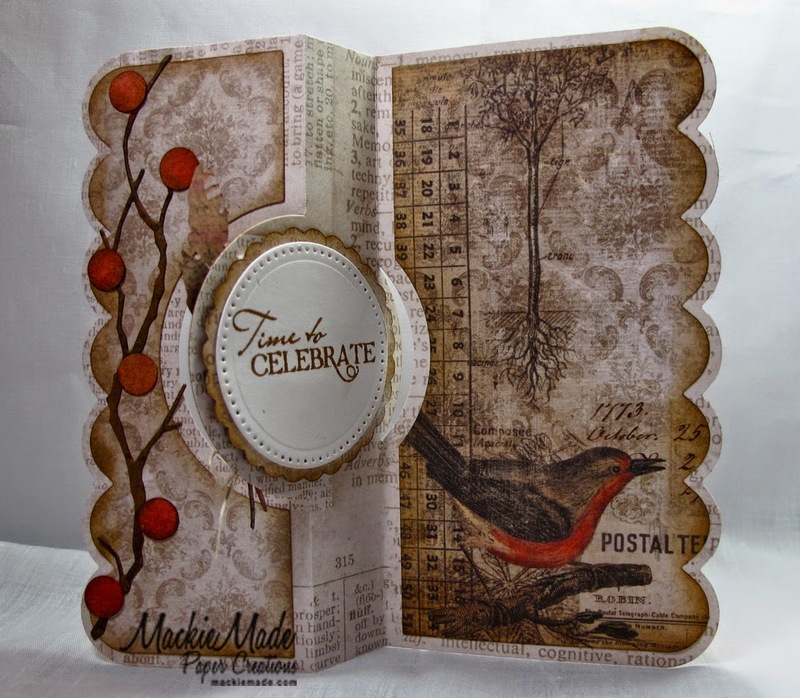 I chose the beautiful paper of the Tim Holtz Wallflower collection. I positioned the die so that it would accent this beautiful bird! I just love this die, because it comes with all of these extra pieces. Everything on this card, except the branch and feathers was cut with this die set! Love it!!!! Mackie this is GORGEOUS!! I love your design, the feathers, the bird...perfect! What a beauty! Love the fun design of this card! Fab feathers and bird, too! amazing! I like the vintage look! So very lovely!! Thanks so much for playing along ay CCCB!! Fantastic card Mackie. 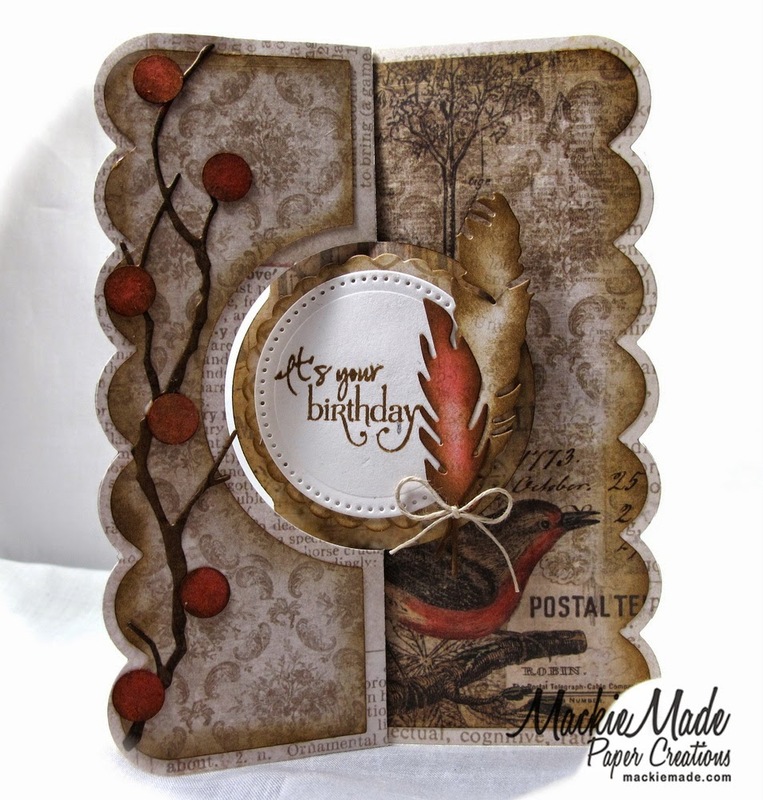 Love the earth tones, the scallop edge, the feathers... the distressing is awesome. WOW! LOVE that fold and that striking bird! Fab papers! Fab card! Gorgeous Mackie! Love the pretty feathers paired with the beautiful bird!